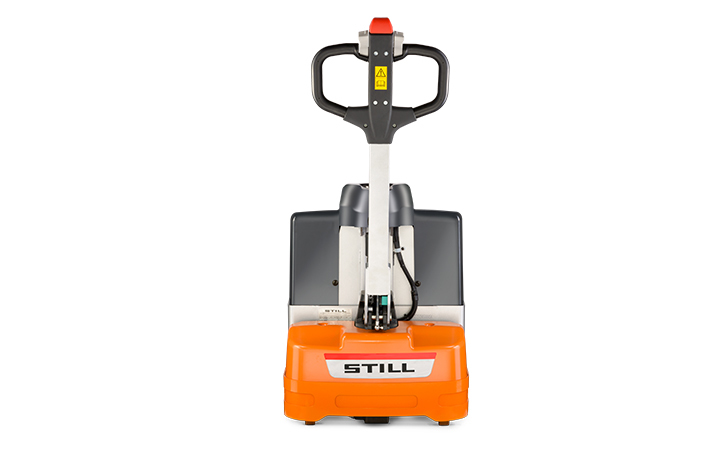 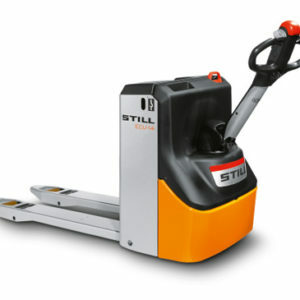 Be it in industrial applications, retail or logistics – with its ECU 15 C, STILL offers more than just one good reason to dismiss hand pallet trucks into retirement. 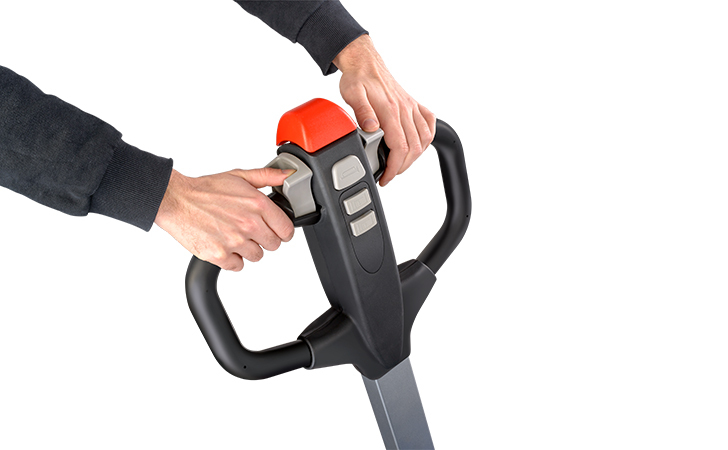 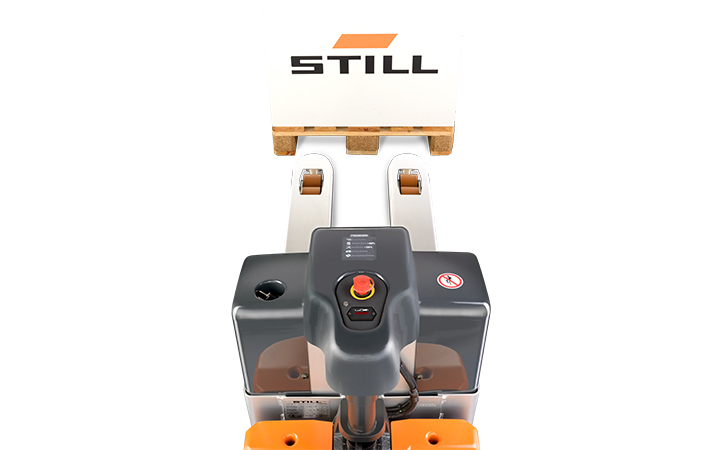 The low lift power pallet truck scores with a range of quality aspects: driving, lifting and lowering – all this is done electrically and without any physical force by the operator. 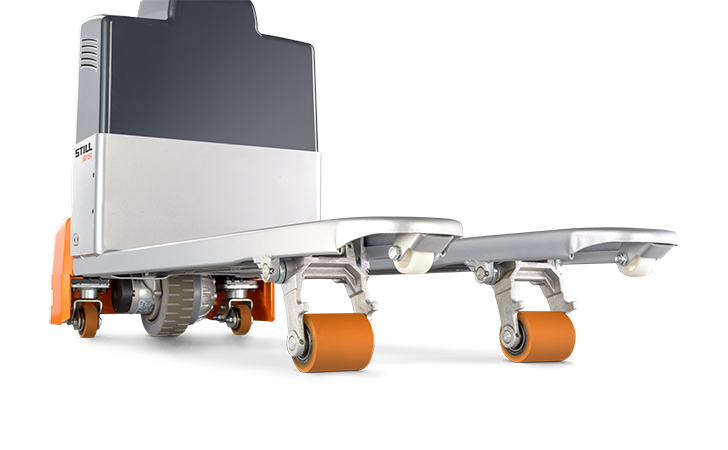 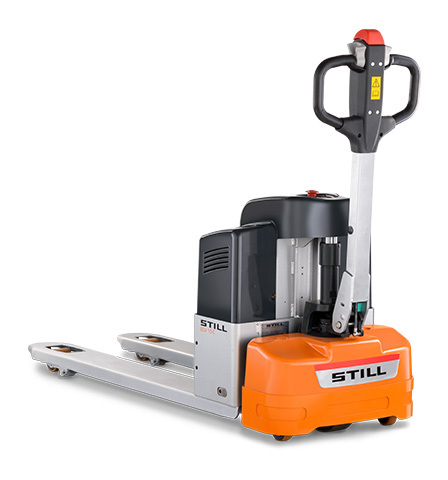 Compact and agile, this efficient warehouse helper moves any load weighing up to 1,5 tons – with the truck itself only weighing 200 kg – and that includes the battery. 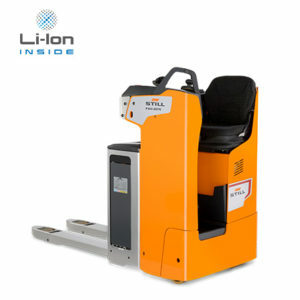 This makes the ECU 15 C an ideal truck for use on intermediate floors, in elevators or on the back of lorries, in particular if the lorry has a lift platform. 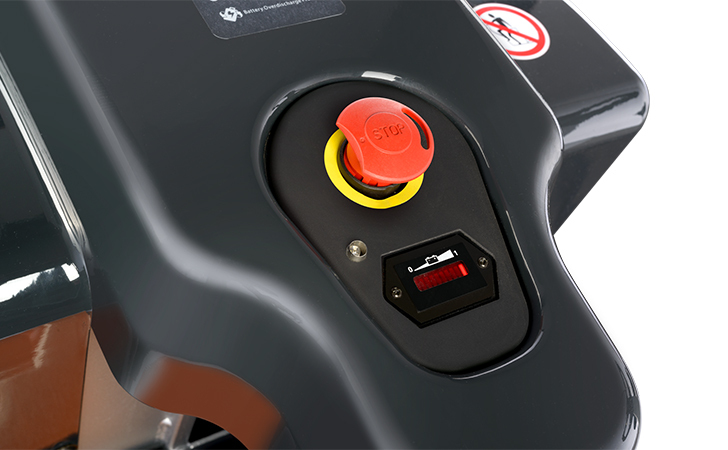 Thanks to the display, the operator will know the current charging level of the battery at all times. 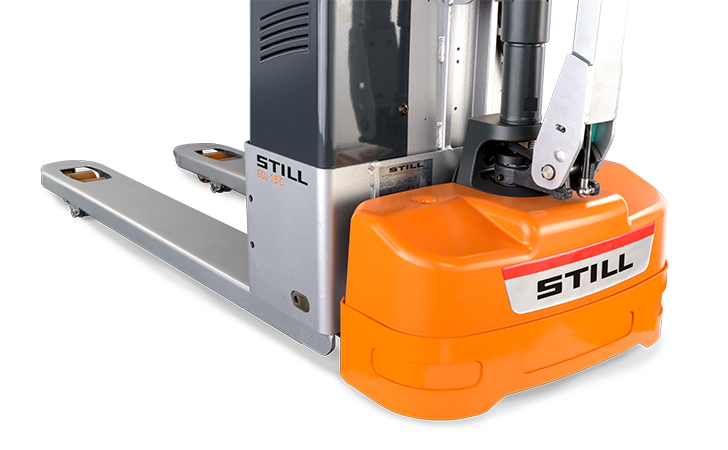 Even better: with a power consumption of only 0,39 kW per hour, the truck is not just very energy efficient, but with its on-board charger, the battery can be opportunity charged at any mains wall outlet. 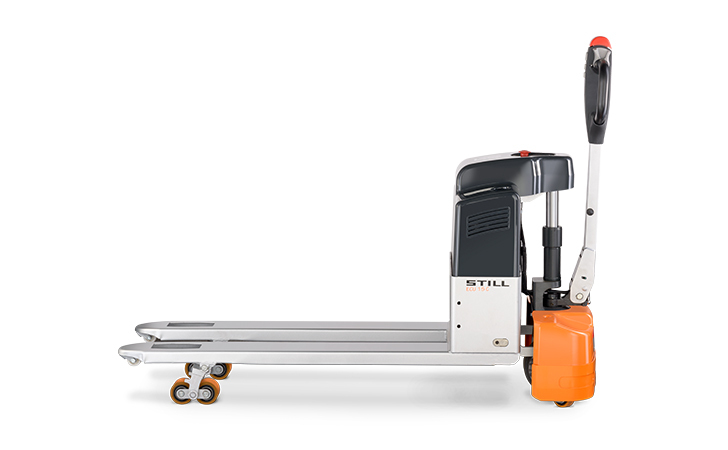 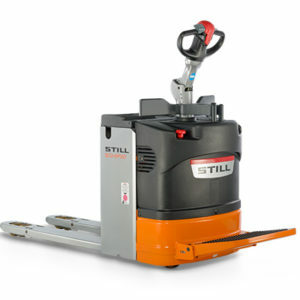 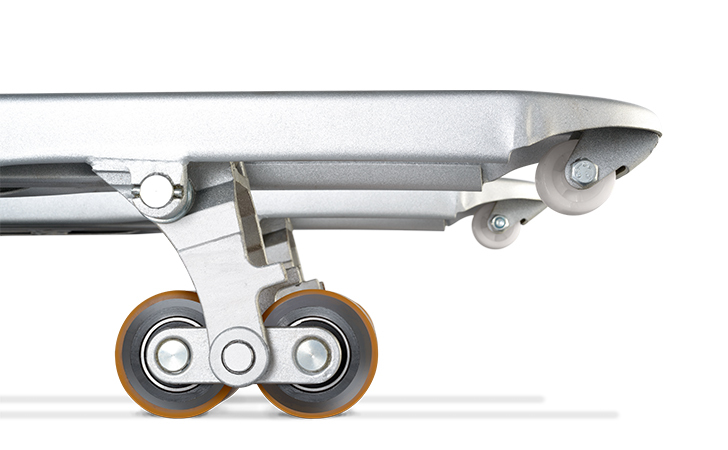 Availability and flexibility are the core aspects of the ECU 15 C. In operation, the pedestrian low lift pallet truck scores not only with its comfortable single-handed control which is suitable for left and right handed operators alike, but with its rounded fork tips with integrated entry rollers which make stacking pallets more efficient as well as more comfortable. 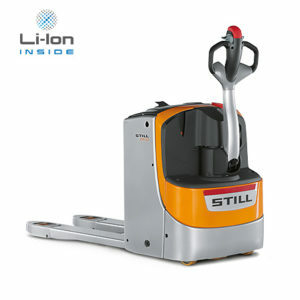 Its robust chassis guarantees endurance in the long run, also if the application becomes a little tough.